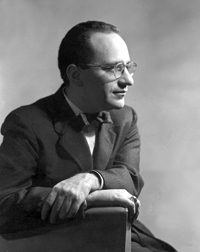 It is absolutely awesome that so many collections of Murray Rothbard essays are being published. This is heroic work. However, there is one caution I want to add. In some of the collections I see odd phraseology that I don't think Rothbard would have used and in other cases typos that would have unlikely been made by Rothbard. I don't want to single out any specific collections because I think the fact that these essays have been assembled is terrific work and I'm sure editors put a great deal of effort into assembling them. But I will just point out one typo to make my point. In one collection, the city Worcester, Massachusetts is spelled Worchester. It is highly unlikely that Rothbard would have made this type of error. In other parts of the country, writers may not be familiar with the way the city is spelled but I doubt that this would be the case with anyone from NYC, especially a scholar. given that NYC is adjacent to the New England states and is covered frequently enough in NYC newspapers. Further, in Rothbard's four-volume, Conceived In Liberty, Worcester is spelled correctly. I suspect this is a case of the editor "correcting" an "error" that wasn't there in the first place. In other cases, I have seen phraseology used that is hip and new that doesn't seem consistent with Rothbard's other writings. In other words, an editor making things "clearer," which in my view does the opposite and tends to distort a point Rothbard was making. So just a word of caution. Many of the essays are online as they originally appeared. If you are doing scholarly work, and want to cite an essay, I would go back to the original essays. Conceived in Liberty. What a masterpiece. Brilliant. Time for me to dive into it for the 4th time. One of my brothers actually ordered, I think volume 1, on amazon, and he got a Rothbard signed copy, which the great Lew Rockwell confirmed to me was a legit signature... I keep telling him a good brother would give it up as a nice birthday present, but so far he isn’t a good brother. "Never a Dull Moment" was edited by Justin Raimondo. He wouldn't make those kind of errors.